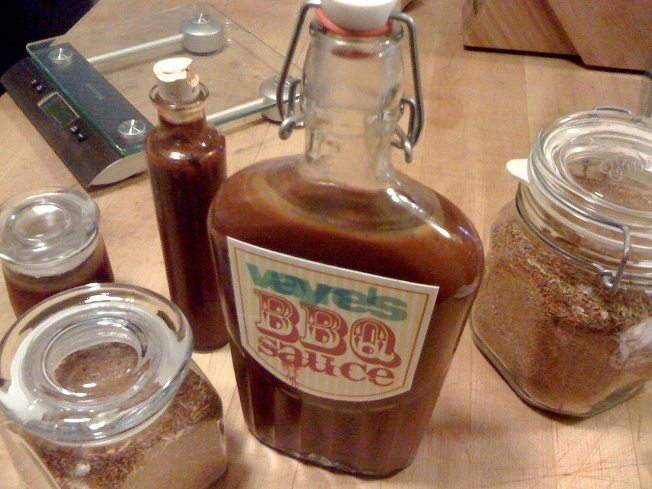 Wayne's Weekend: A great barbeque starts with a great barbeque sauce. The sweet and tangy flavor of a good barbeque sauce is always the perfect compliment to whatever you’re grilling. Wayne shares his spicy Texas barbeque recipe to start the grilling season off right. A great Barbeque starts with a great barbeque sauce. Since grilling always takes me back to my Texas roots, I thought I’d start the grilling season off by sharing my spicy sauce recipe. This sauce is great with grilled and smoked meats. It’s terrific heated but works well at room temperature, too. Spoon beef base in hot water and stir to dissolve. Set aside. Melt butter in a saucepan over medium heat. Add onions and sauté for about 2 minutes. Add jalapeño, celery, and garlic and sauté for a minute longer. Reduce heat to low and continue to sauté until ingredients are tender, about 8-10 minutes. Puree tomatoes and ketchup in a blender. Add to the pot along with dissolved beef base. Increase heat to high. Bring mixture to a boil and stir in remaining ingredients. Reduce heat medium low and simmer for 45 minutes to an hour or until sauce is as thick as you like it. Allow ingredients to cool. Puree sauce in a blender and then strain through a fine sieve. Store sauce refrigerated in an airtight container until ready to use. Serve sauce heated or at room temperature. This recipe makes about 1 quart of sauce.